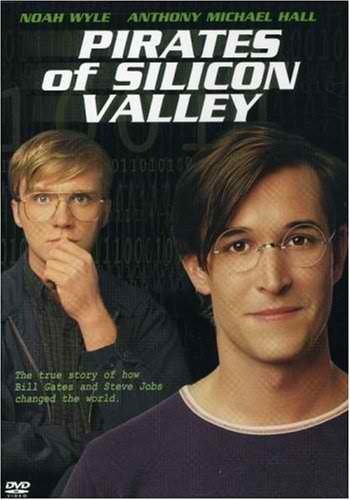 Movie on founders of Apple & Microsoft before Social Network Movie | Why You So Free Lately ? Before Social Network Movie there was Pirates of Silicon Valley (PoSV) which was highly under-rated & wasn't marketed as well as the former when it debuted on the silver screen. PoSV is a 1999 docudrama written and directed by Martyn Burke which documents the rise of the home computer (personal computer) through the rivalry between Apple Computer and Microsoft. Will you be the next star of the internet world? Oh dude, totally what I had in mind when I heard about The Social Network. This is the movie that got me into computer! I love Michael Anthony Hall in this.